The rain frog is a fossorial species, meaning it is an excellent digger, and spends much of it's time under the ground. 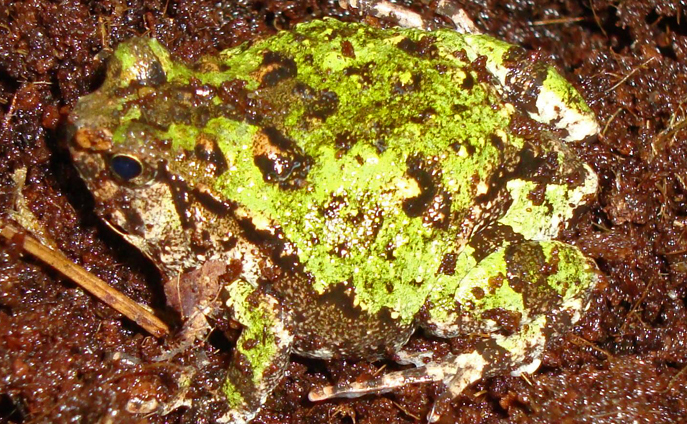 Rain frogs have been known to dig burrows as deep as 40–50 cm (16–20 in). The rain frog is threatened because it occurs naturally in a very small area, and much of this habitat is being taken up as farm land.